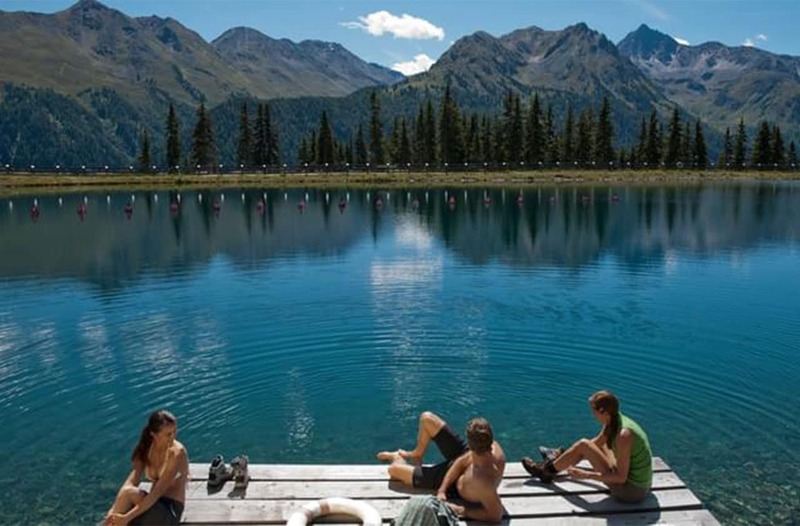 When the mild air is full of the wonderful scent of freshly mowed pastures and the sun is still on its way towards the valley, then it is summer in Ischgl – and thus the time for recovery. 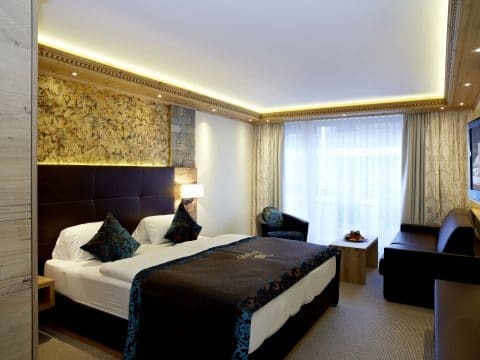 For some, recovery means relaxing well-being days full of peace and delight in our 4-star hotel in Ischgl , while for others it means an exciting sports programme during a diversified active holiday. 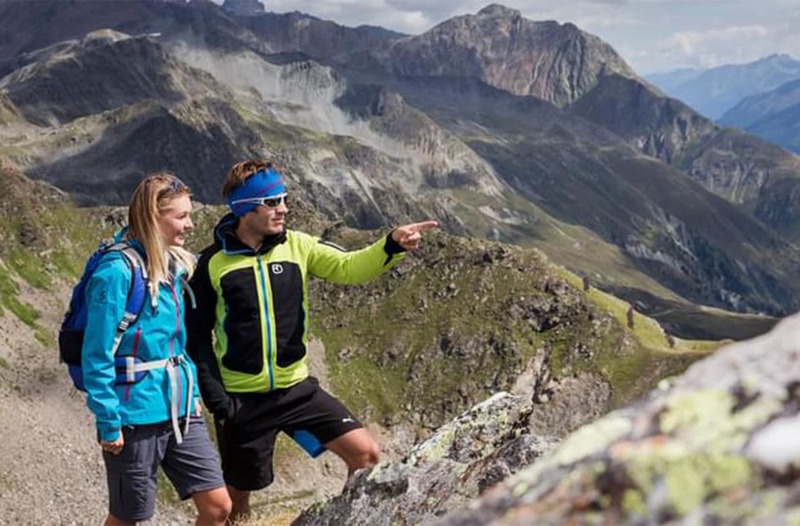 Whatever you are looking for, Ischgl will fulfil your desires. 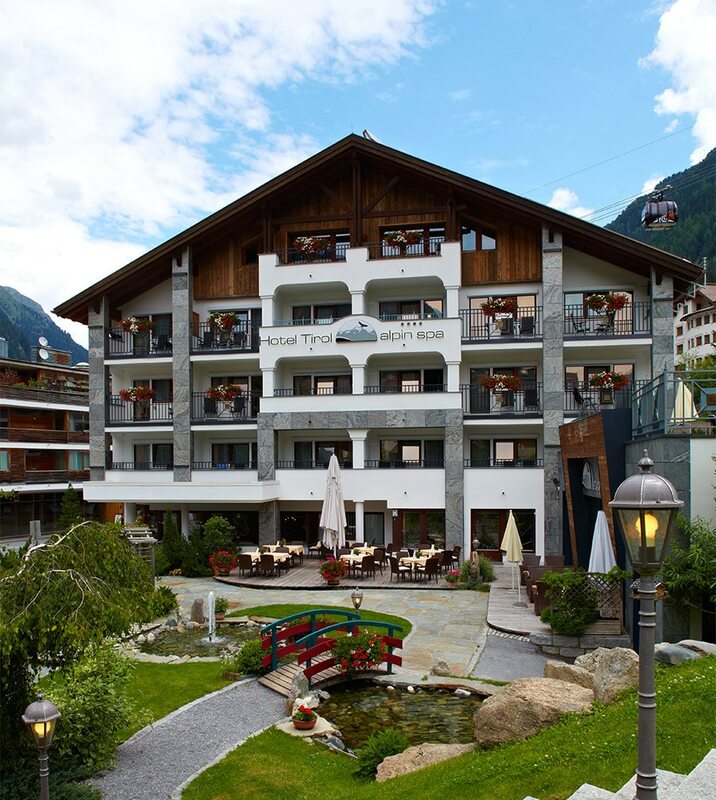 The home of the alpin spa**** Hotel Tirol in Ischgl is known for outstanding climbing routes and mountain hikes as well as mountain bike trails, Nordic walking routes and pasture hikes with our hiking guides. 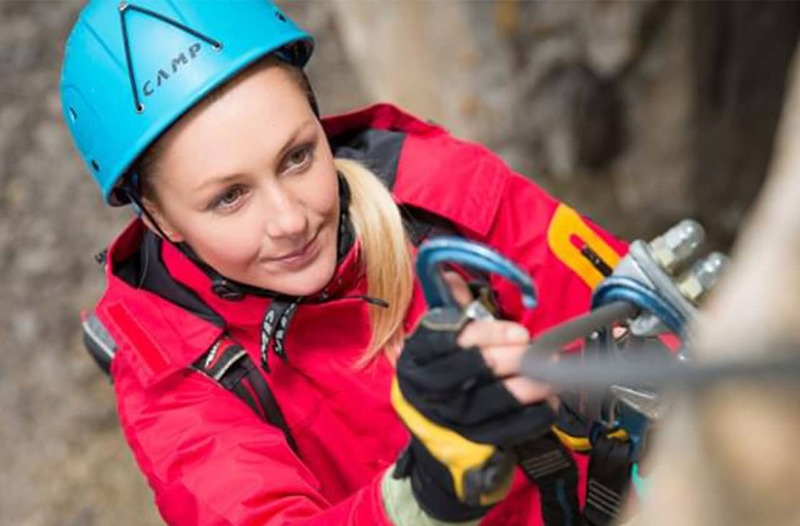 Even more: adventure sports fans come from all over the world to get an adrenaline rush when paragliding, canyoning or on downhill runs, while those searching for peace enjoy sunny places on rustic pastures or in the hotel garden as well as the idyllic cosiness of our traditional hotel with the alpin spa****. 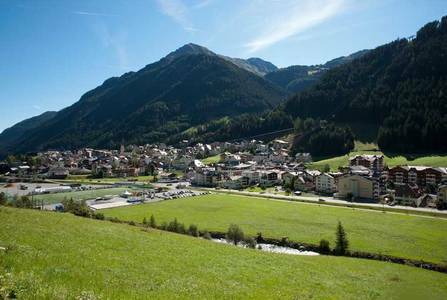 As you can see, Ischgl is a village which reinvents itself again and again in the abundance of opportunities. After all, however, Ischgl is mainly one thing: a summer holiday paradise with the feel-good character. 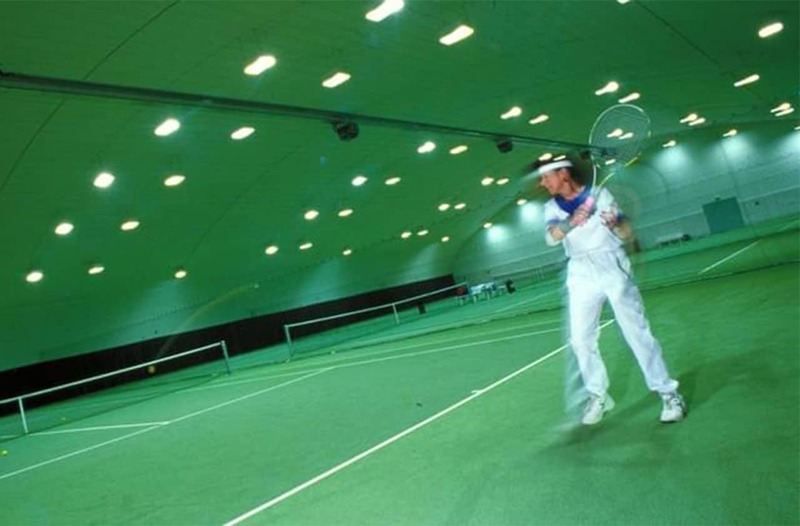 In Ischgl, you definitely will not get bored: apart from breathing our fresh alpine air and enjoying the sunrays, we offer you many different facilities full of action. 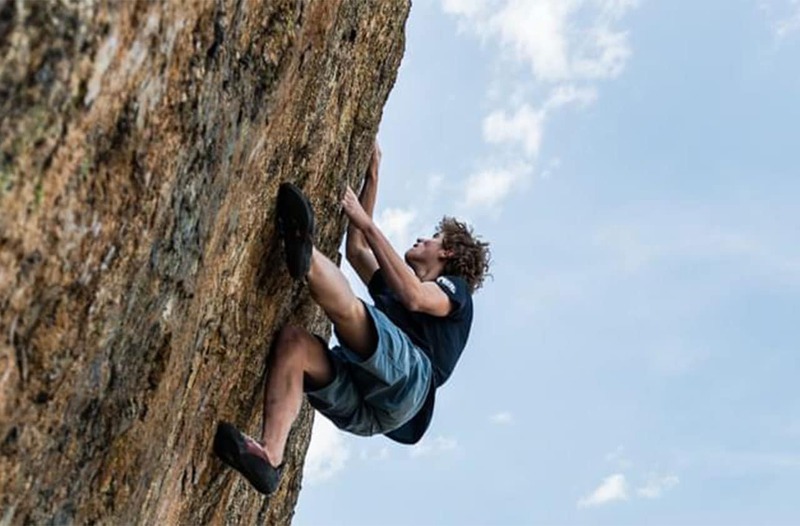 Have you ever wanted to lift off and fly through the air? 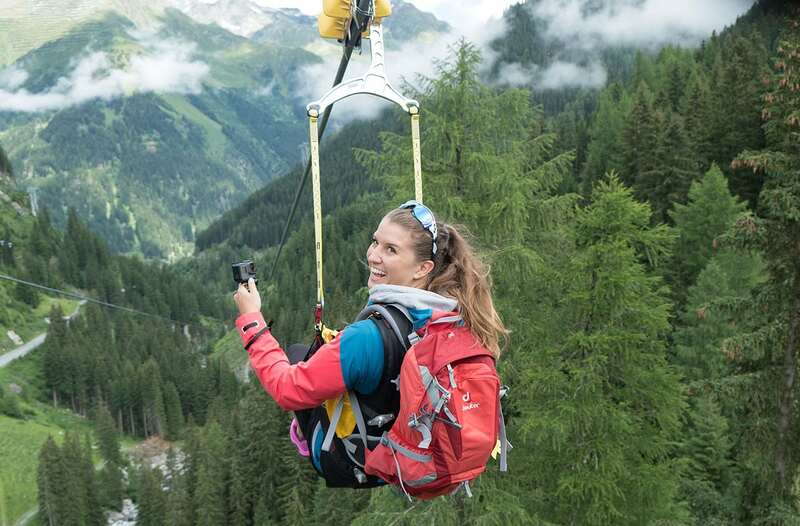 The "Ischgl Skyfly" is just perfect to get the adrenalin going. 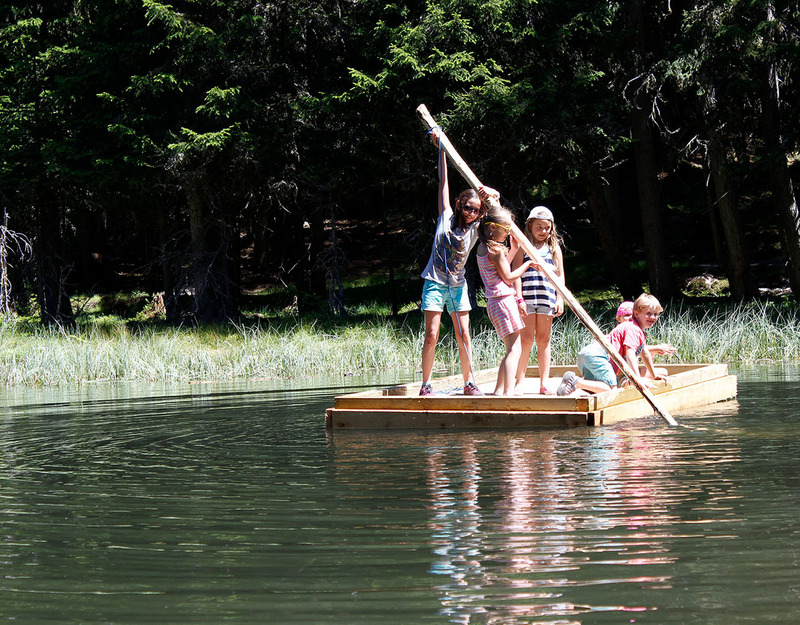 Also the Adventure Stage at the lake Pardatschersee is fantastic for adventurers: fulfil the challenging tasks like "Air Steps", "Wood Lines" and "Float over Water" as well as the "Lakeside Adventure" and have a great time with some friends or your family there. If you prefer music combined with the quiet of nature, you will love the "Walk of Lyrics": here you can experience acoustics and music in a totally different way at three musical stops in beautiful natural surroundings. 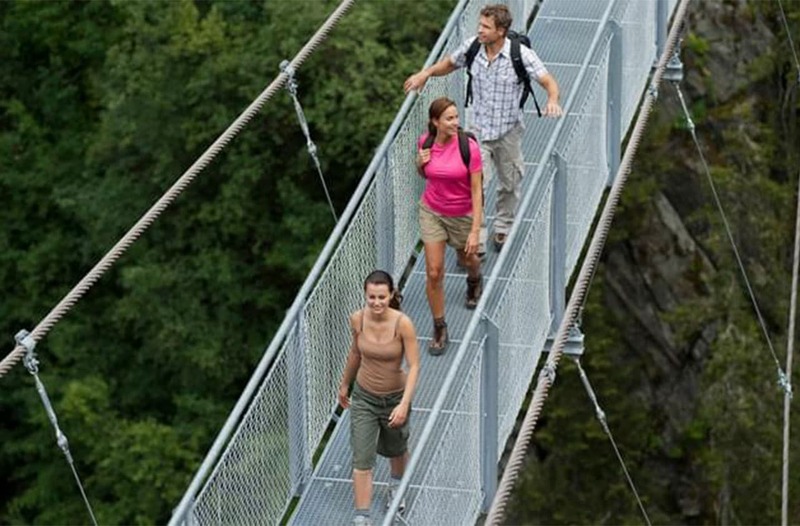 Typically traditional and full of joie de vivre – Ischgl will welcome you as a holiday resort which loves all facets of an active summer, and you will know: “This is the right place to be.” In the centre of alpine nature and surrounded by wild mountain tops, you will find the perfect place for your exciting active holiday. 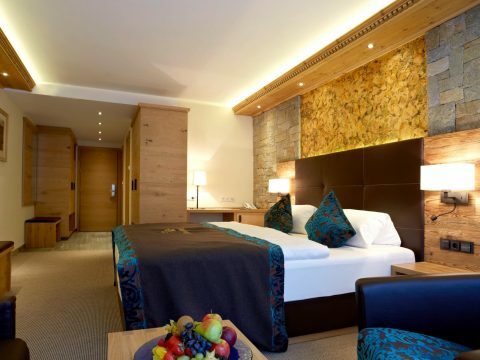 Make use of various leisure time opportunities in and around our 4-star Hotel Tirol in the heart of the summer Eldorado. 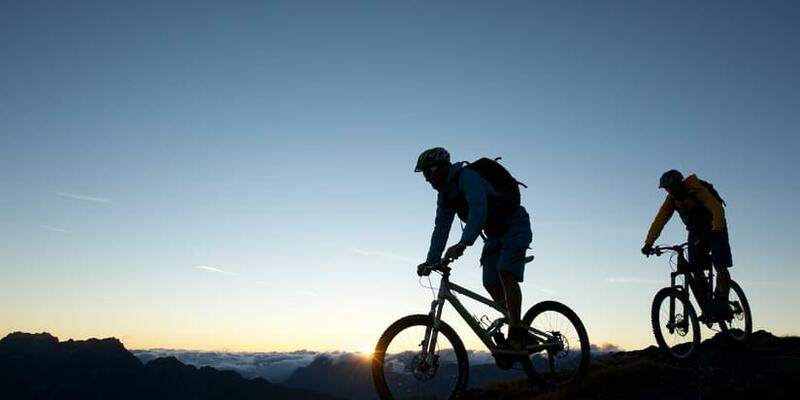 From hiking to e-bike and motorbike tours, from paragliding to climbing, the list of activities in Ischgl is virtually endless. 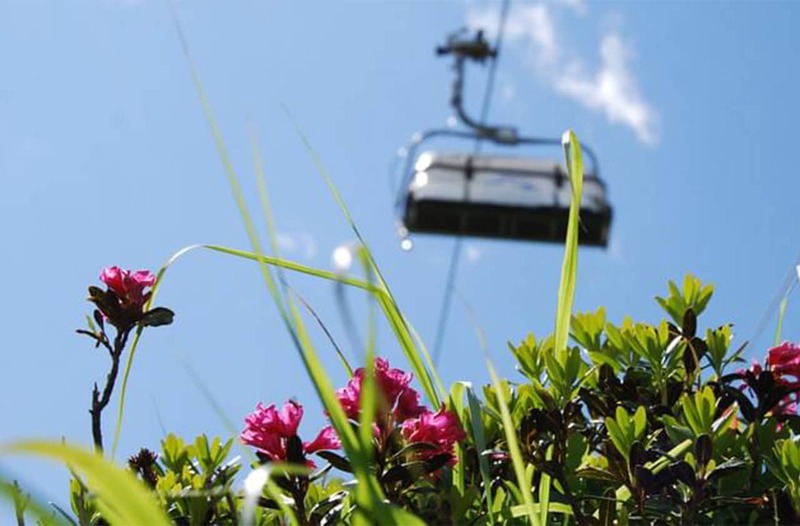 You want to know which cable cars and lifts are currently running for your summer adventure? 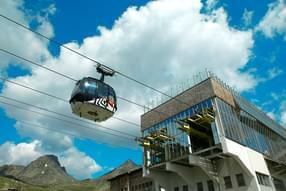 Then check out out the Ischgl transport overview. 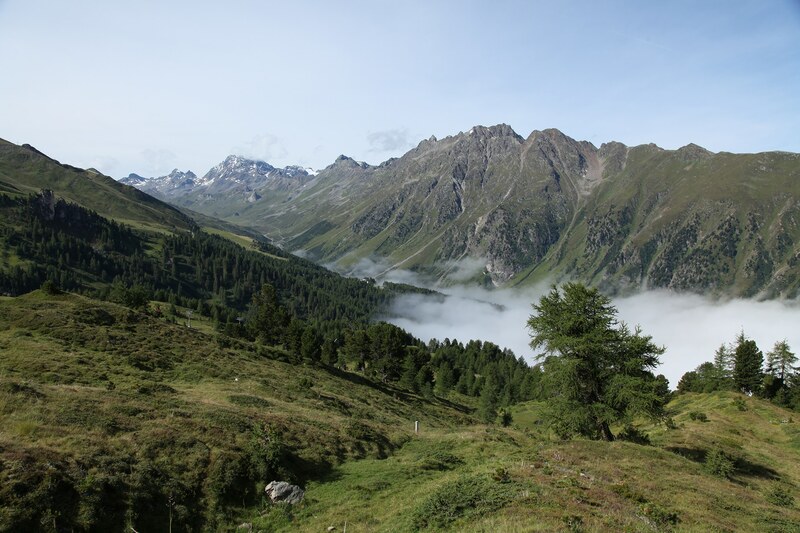 Where experience is at home: Ischgl in Tyrol. Discover it! 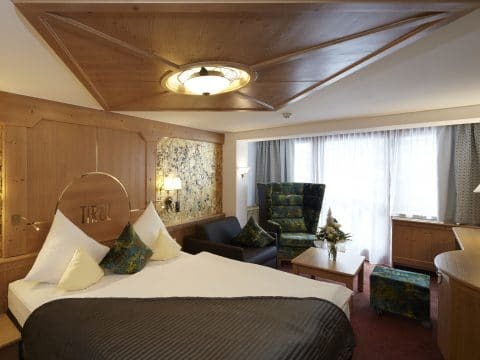 The holiday resort around Ischgl, popular far beyond the country borders, and our 4-star Hotel Tirol epresent fun and recovery right down the line. 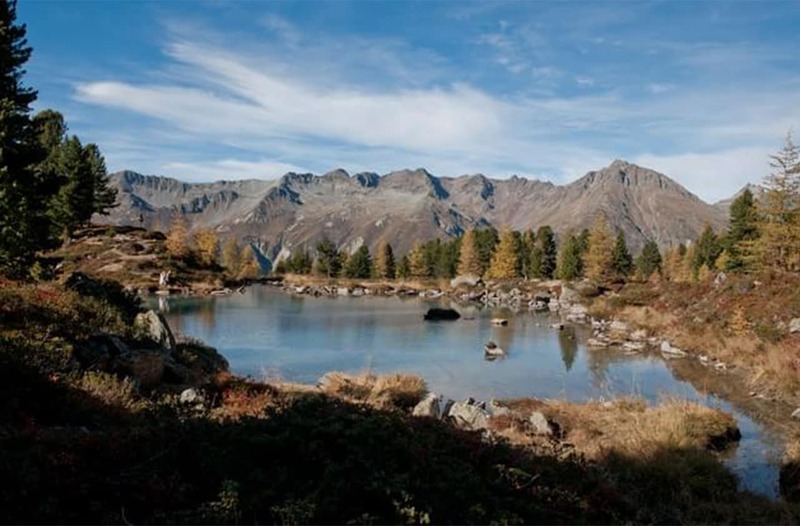 In addition to a large number of leisure time opportunities, to be enjoyed in the unique landscape and the surrounding mountains, Ischgl also provides for further small and big surprises. 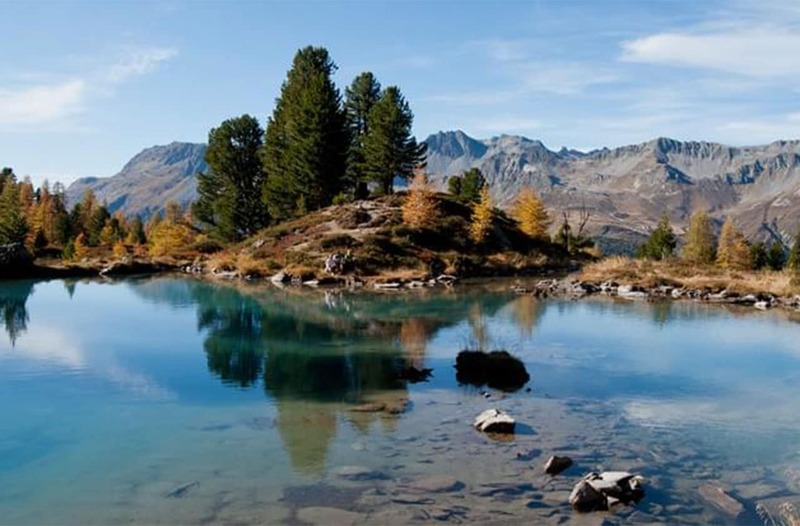 Experience Tyrol with all your senses – beautiful and original. 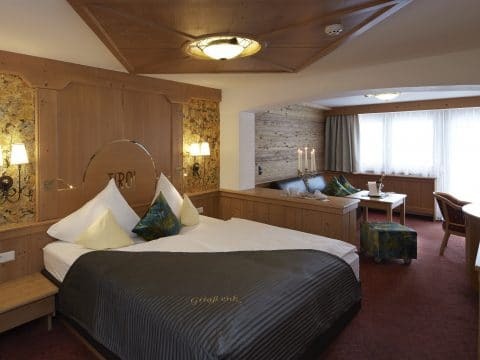 Feel the purity of Tyrol’s spring water during your well-being delight in the Silvretta Centre; admire the extravagant design of the Alpinarium in Galtür; and listen to the wind whispering when roaming at a vertiginous height through the larches of the “Vider Truja” Adventure Park. 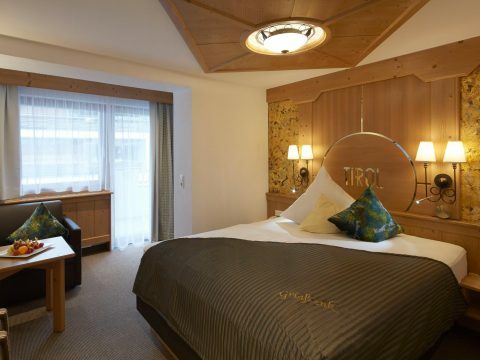 The Paznaun Valley has never before had more facets .With the Silvretta Card, you will enjoy experience and recovery all inclusive and discover the many facets of the Tyrolean mountains in a very comfortable way.